Are you interested in plants that you can grow at home without needing to have a garden? There are various plants that you can easily grow at home in all types of containers. If you have a plastic salad container, then a great idea is to learn how to grow organic popcorn microgreens. The process for how to grow organic popcorn microgreens is really simple. All you will need is potting soil and popcorn seeds. Sorry, you can’t use your store bought popcorn. You will need real popcorn seed that you can find at a local market. The best choice will be organic seeds. 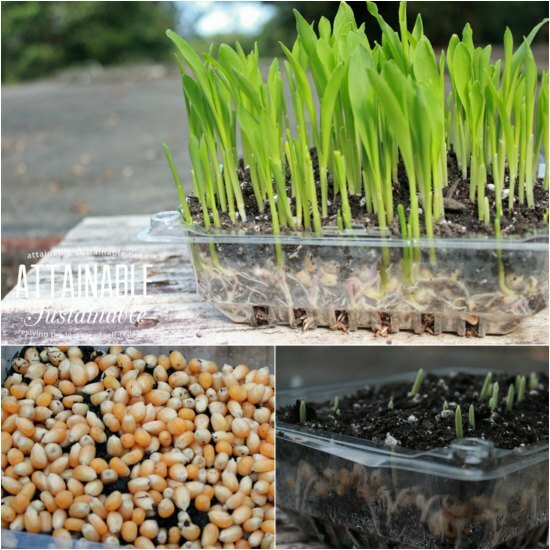 Moisture is a key component if you want to know how to grow organic popcorn microgreens. You will simply need to keep your salad container sealed until you see the seeds sprout. Make sure to add water regularly so all of your seeds will germinate. Sprouts should begin to grow in about a week.